I haven’t written in a while but I think that is because I am in a little bit of a mood. It’s just the process of adjusting to life in a strange place in addition to the toddler mood swings. The novelty of the new experience is starting to lose its shin and the reality of having put aside our life and everything that we know back in the States for the next four years is weighing heavy on me. There are days when I really enjoy Bangkok, the adventure of the unknown, but now that it is getting increasingly hotter, up to 100 degrees, the “adventure” of the everyday, of trying to find a cab that will take you home or dealing with your super hot, unhappy toddler is becoming more of my reality. I understand that this is normal for life here but that doesn’t make it easy. This move has tested me in every way imaginable, my confidence in my abilities as a mom, a wife, a friend and as a Christian has been completely shaken down and I feel that I fail daily in one or two or all, I am not doing as well as I should be. It’s not that I am a crying mess or anything just disappointed in myself that I am not handling the pressures of moving to a foreign land and acclimating to a totally new culture very gracefully, I guess I could be doing worse. Am I really doing all that I can? Chris and I were talking the other day, we discussed how there are so many people on the street begging, it’s extremely heartbreaking but at the same time these people have, for a lack of a better term, “pimps” that put them on the corner with their sick children and beg for money. The pimps are right around the corner watching and waiting to collect. Our hearts hurt for these people and the babies you see but at the same time we don’t want to fall victim to this scam. We decided if we have any food or water next time we go by we would give it to the beggars. Today I came across an old lady begging, she had no teeth, looked completely beat up by life and I decided to give her my cold bottle of water. As I handed her the bottle, I thought well maybe this will help a little (it is super hot today), she looked at me kinda funny; my guess would be that she would rather have the cash but then took it and looked away. I believe that God is teaching me through these feelings of inadequacy. He is really driving it home that I in fact am very blessed, I need to rely more on Him and focus more on my family. Maybe He is giving me these “tests” to really show me where I am screwing up, believe me I see it, but luckily I always have tomorrow to do better. 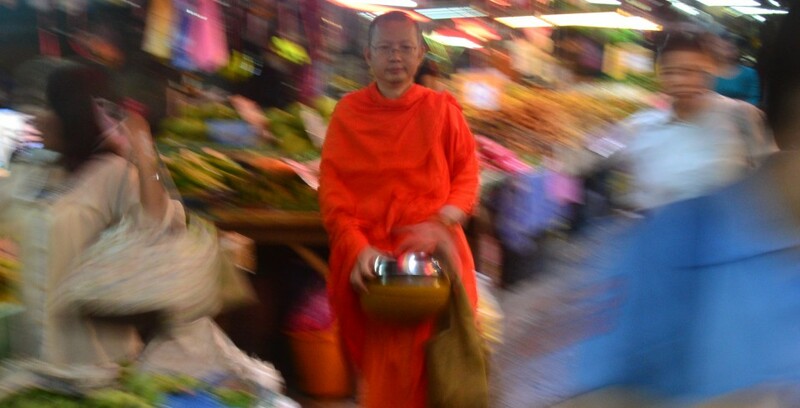 This entry was posted in Life In Bangkok. Bookmark the permalink. Becky, sounds like you’re kinda in a “funk”. I know thru pray and faith you will come thru this trying time. God puts situations and opportunities in front of us to see how we handle them. After all, He is the Father and we, His children. May this day bring you blessings seven times seventy—-which by the way is a great song by Chris August,especially the chorus. Becky, just last evening at my bible study they mentioned that God gives us challanges. One gentlement mentioned when we follow Him at times His plan is not easy, it is (1) impossible, (2) difficult and (3) done. You all are in prayers daily and I hope you have a fan. Love.